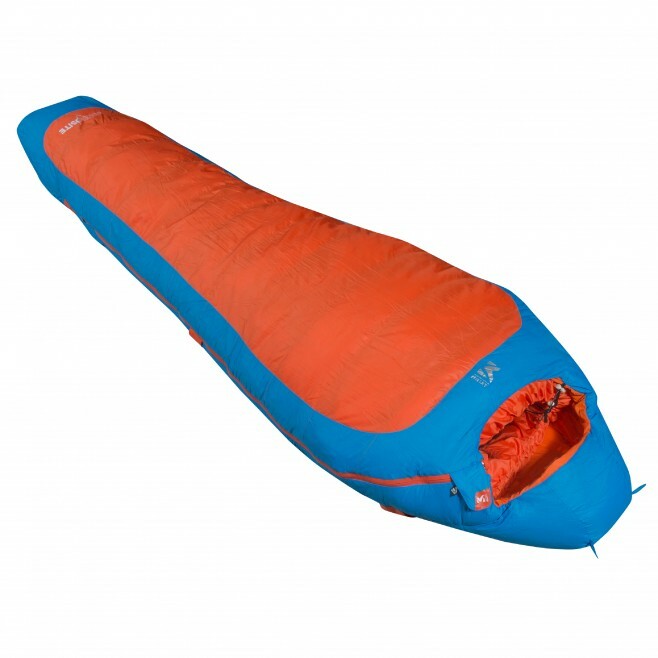 To cope with alpine rigors across 3 seasons (full comfort outdoors) or 4 seasons (in refuges) the COMPOSITE -5 sleeping bag has the perfect profile for mountain hikes and treks, being water repellent and highly compressible in-pack. For the benefit of lightness it opts for SMARTBLEND™ insulation, a blend of 70% K-DRY™ treated natural down plus 4T™ synthetic down, which guarantees efficient warmth during alpine nights, even if you encounter wet conditions. The innovative V baffling prevents thermal bridges. The COMPOSITE -5 sleeping bag has an aluminized chamber coating that reflects heat inwards, like a survival sheet, while wicking sweat away from the body. The 22%-hollow synthetic fibers in the lower section store air and durably resist squashing and ground damp. Available in regular and long versions.